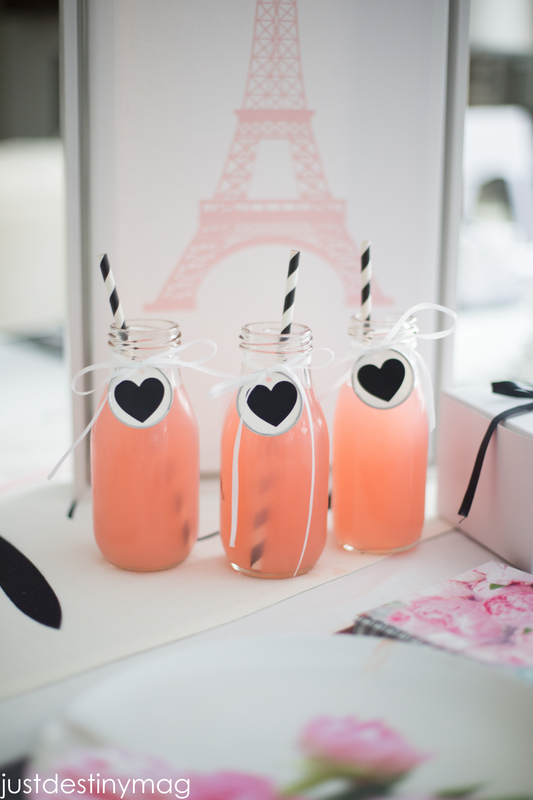 I’m back today with a fun Paris themed party ideas. My little girl seems to be pretty obsessed with the idea of Paris these days. So when I asked her what kind of party she wanted she immediately said she wanted to go to Paris! Ha! Anything is possible in her little world right? I told her we couldn’t actually go to Paris but we could have a Paris party and she said “Yes!” Now we aren’t getting on a plane and flying over the sea to one of the most beautiful places on earth, but YOU CAN! Stay tuned! 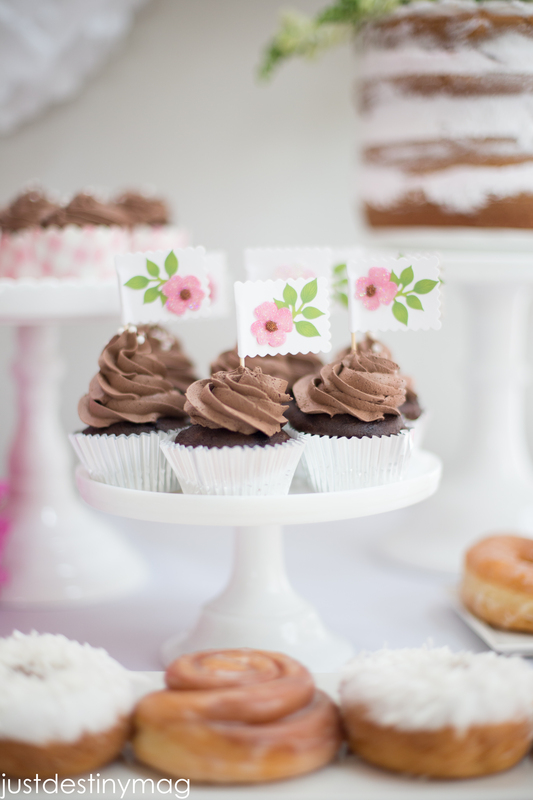 Her party is not until next week but do have some fun ideas that I wanted to share with you. I picked up most of these supplies at my local Michaels and so can you! I like using these cake boxes for party favors because the box is large enough to put two or three different items in them. Plus it’s just different from your typical baggies. 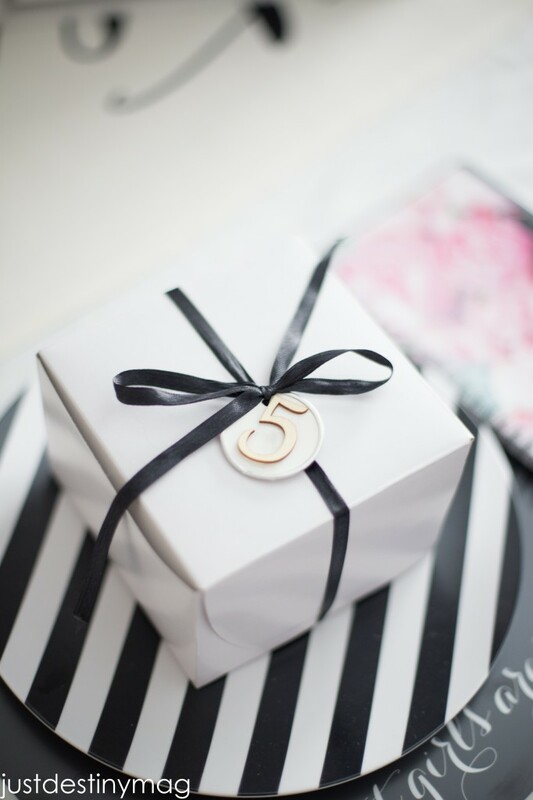 If I were spending an afternoon in Paris I would definitely be going home with some beautiful boxes tied with ribbon! 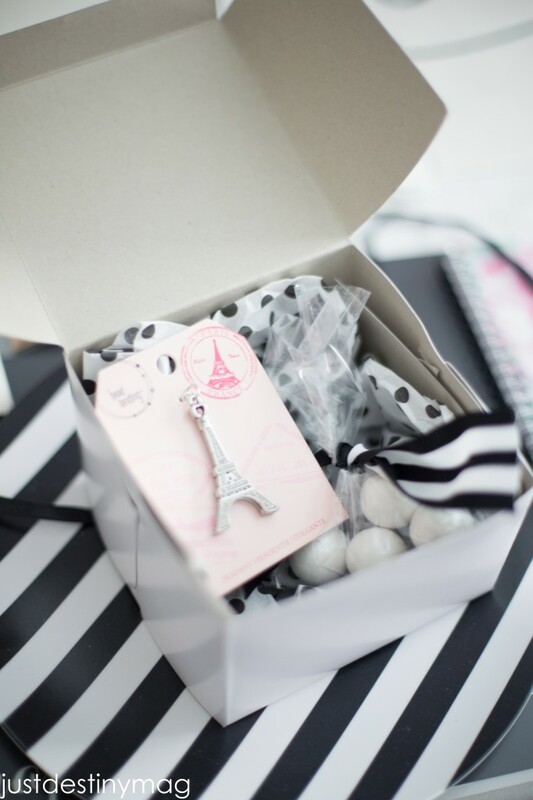 For the favors we are giving each girl a effiel tower charm for her to use for necklaces, bracelets or anything else. We are also including a small package of gumballs which are Livy’s favorite. All you need to do to doll up these boxes is put coordinating tissue paper into the box and place the items inside. Then close the box and wrap it up with a pretty satin ribbon bow! Simple and elegant! I ended up putting a fun little wooden embellishment found in the Michaels wood section. The small number 5 was a perfect fit inside the Recollections tags. What’s springtime in Paris without flowers? 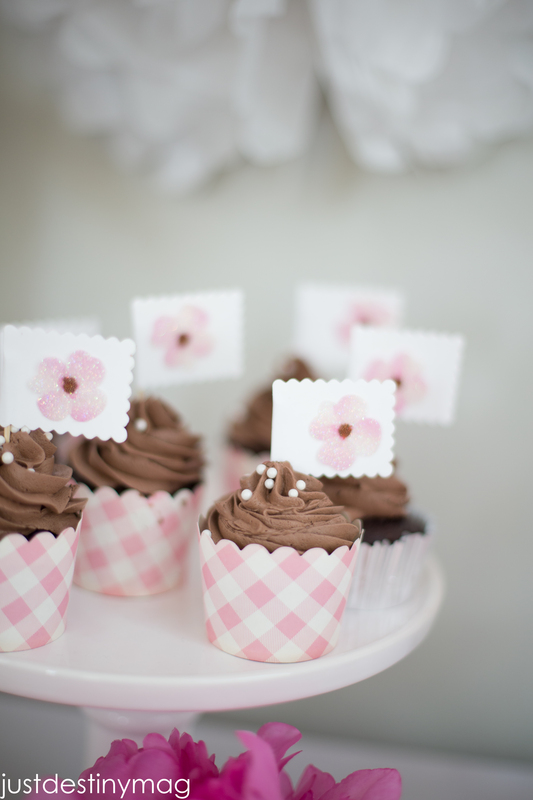 These cupcake flags are super easy to make because the Recollection line at Michaels makes it so easy! 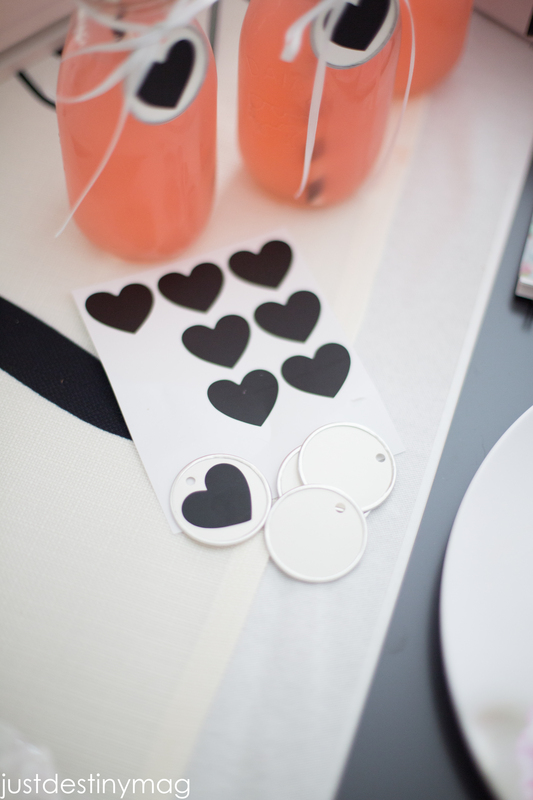 All you need to do is add these beautiful stickers from Martha Stewart. 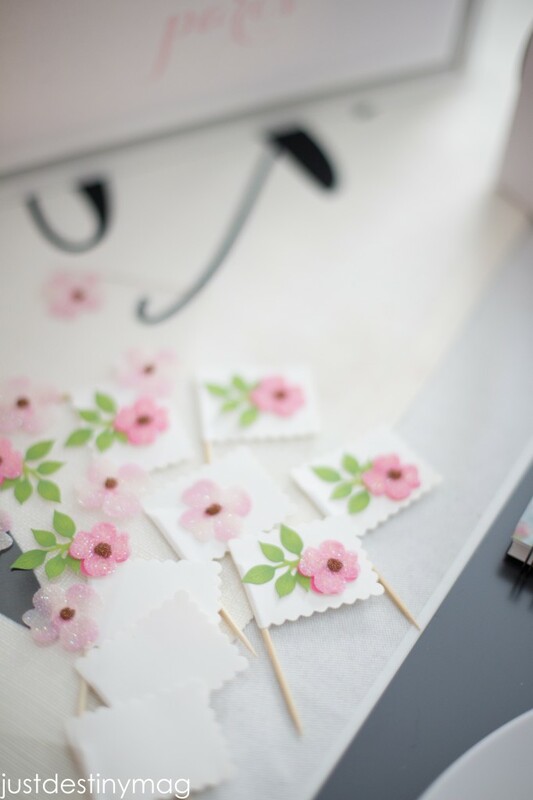 Stick them on these flags that you can find in the store and you instantly have a fresh floral arrangement for your cupcakes! 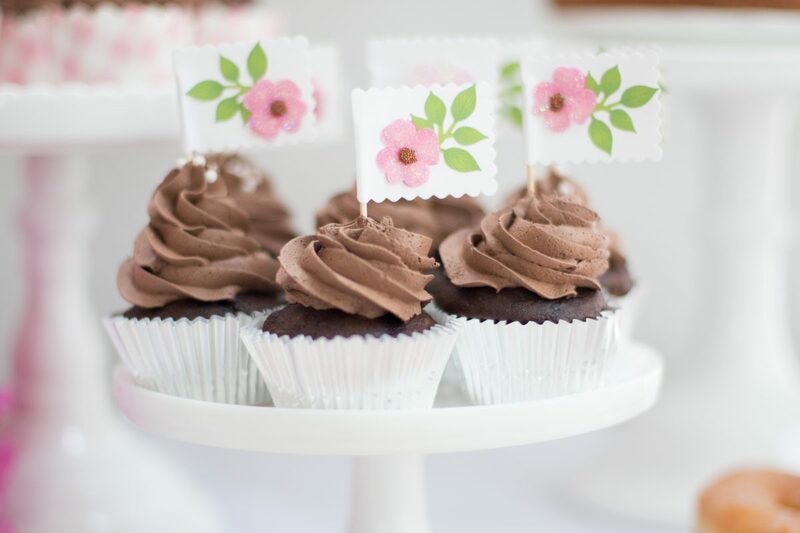 You can also find these adorable cupcake liners at Michaels too! 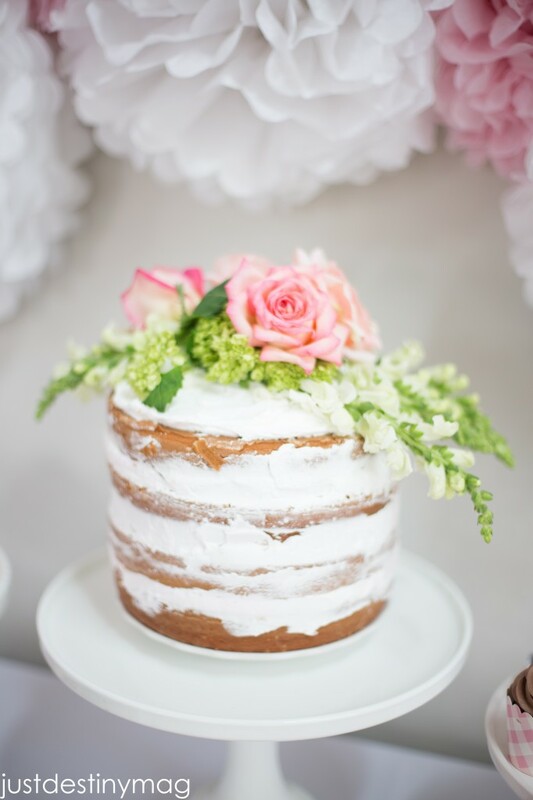 For her party I will also be making a naked cake with a floral top! I tried it out this weekend for my sister in laws baby shower and it turned out perfect! I took a baking class very similar to the ones that Michaels offers that features Wilton products years ago. I knew I need some height on this cake so I picked up 3 inch deep cake pans from the baking isle at Michaels. Instead of usng 4 pans to make four layers you can I baked two cakes and then leveled them out. Look for a full tutorial soon! 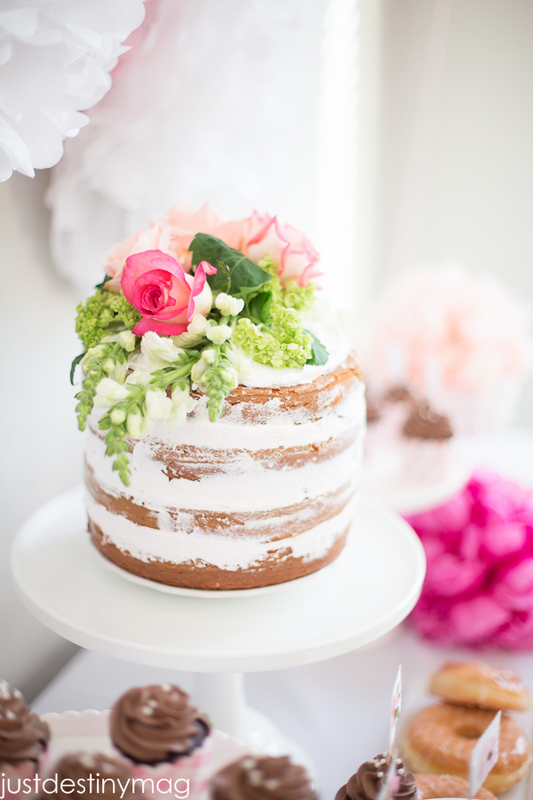 UPDATE: How to make a semi homemade naked cake! 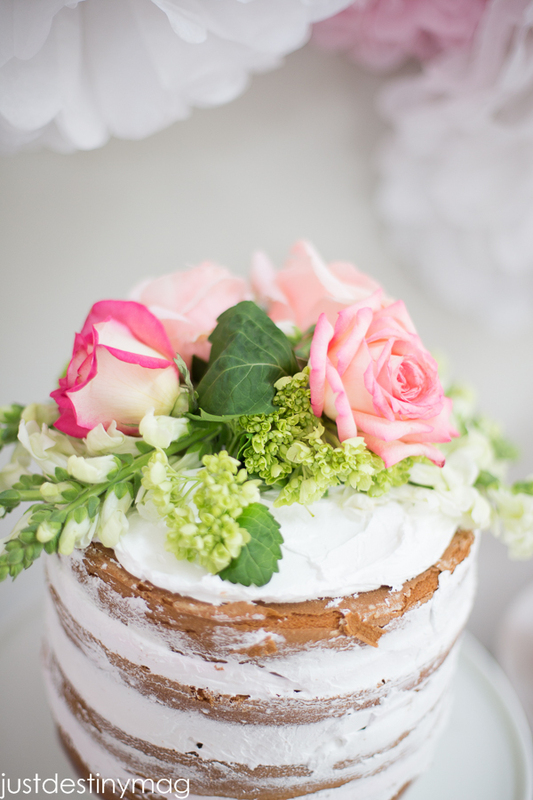 This is the perfect springtime cake for any of your celebrations this year. I topped it with fresh flowers from my local grocery store AND flowers from Michaels! Bet you can’t tell which is which! Now it’s your turn! That’s right, you can enter to win the trip of a lifetime to Paris too. How? Michaels wants YOU to create a Parisian-inspired project – anything from décor to art, floral, baking or paper crafting using product from Michaels. Once your project is complete, we ask that you share your own Parisian-inspired projects as well! Enter to win an amazing trip to PARIS!!!! · Upload la photo to https://paris.michaels.com/ through March 31. 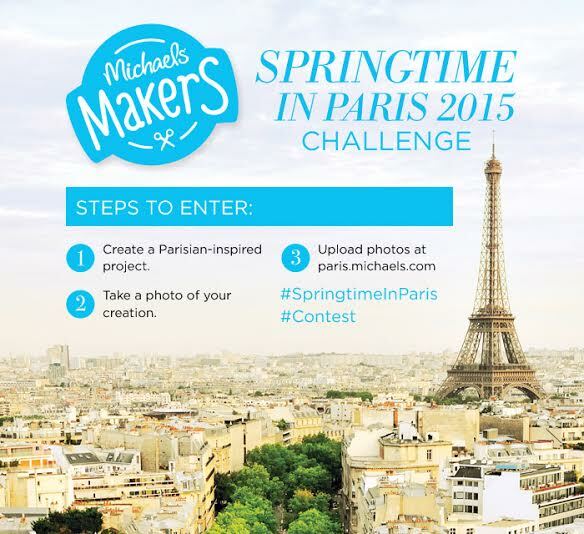 You can also share your project on social using #SpringtimeInParis #Contest. 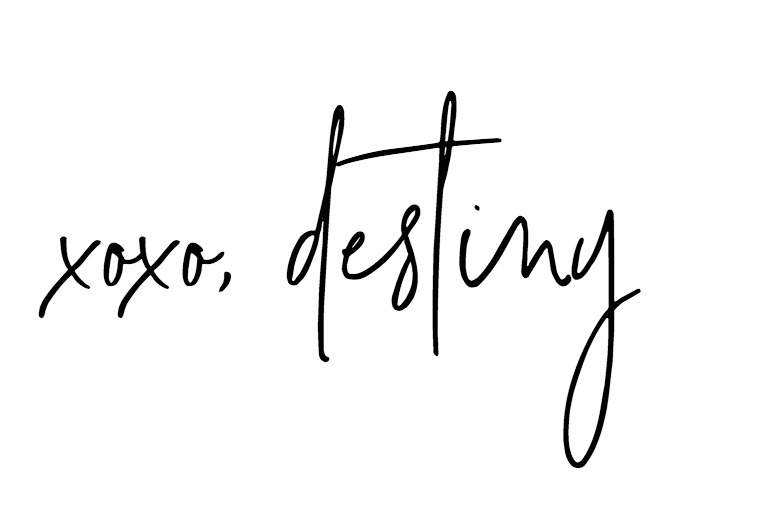 · What do you win? A four-night trip for two to Paris, 1,000 euros, a VIP tour of the Louvre, private classes including sketching, floral arranging, baking and more! 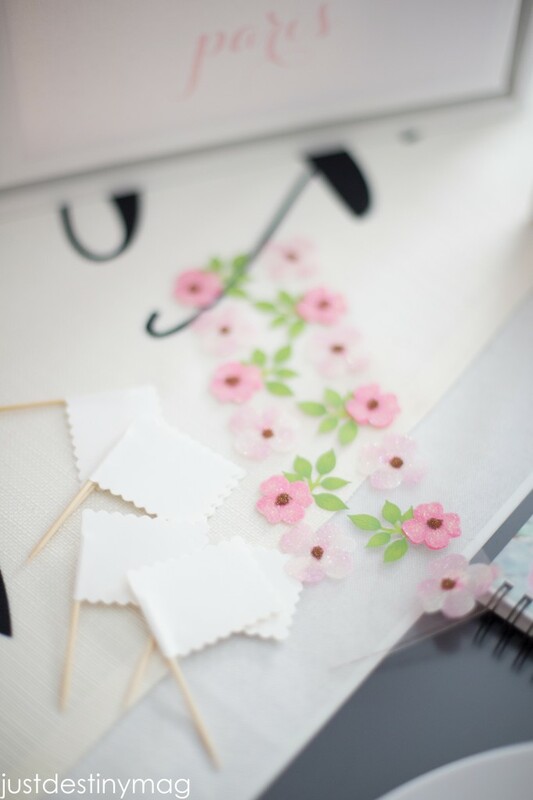 · If you need a little Paris inspiration to get you started, take a look at some of the Springtime in Paris projects on Michaels.com. Love these ideas! The Naked Cake and Little Italy Drinks are perfect additions to this party. Thanks for sharing. Thanks Lauren! The cake is my FAVORITE!! !